The soft flowers in the Forever Lovely bundle -- both stamps and die cuts -- aren't just for Valentine's Day! This bundle is great for weddings, Mother's Day, and birthdays! 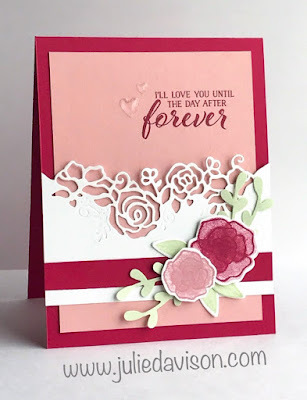 The die I used the die cut the flower border on this card actually lines up perfectly with the long flower image in the stamp set, but looks elegant on its own too! 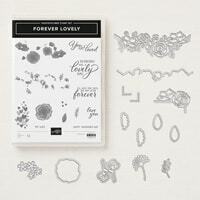 See more Forever Lovely projects. 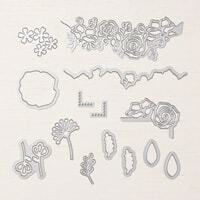 This card is one of three designs in my January Stamp of the Month Club card kit. There is no commitment when you join my Stamp of the Month Club! 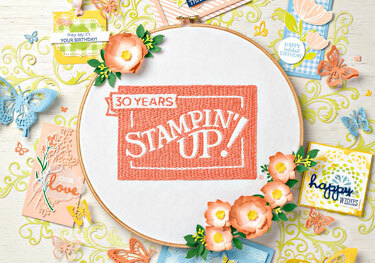 I'll add you to my club mailing list and you'll receive one email each month revealing the stamp set and card designs. You can choose when you want to participate by simply replying to that email. Each month, I feature a different stamp set. 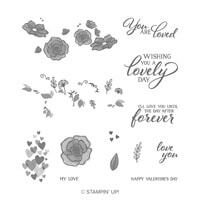 Those who participate in January will receive the Forever Lovely Photopolymer stamp set (or substitute a different set), pre-cut materials to make 6 cards (2 each of 3 designs), printed instructions with a color photo of each card, and Priority Mail shipping. Click here to learn more about Stamp of the Month Club.